This Sterling Silver Fountain Pen from our Cambridge range has a traditional engine turned barleycorn pattern. This item is an ideal gift for ladies or men. Our pens can be engraved, and all orders over £50 come with free UK delivery. Before our pens are hand-finished by British master silversmiths, they are hallmarked at the Goldsmiths assay office in London or at the Birmingham assay office. 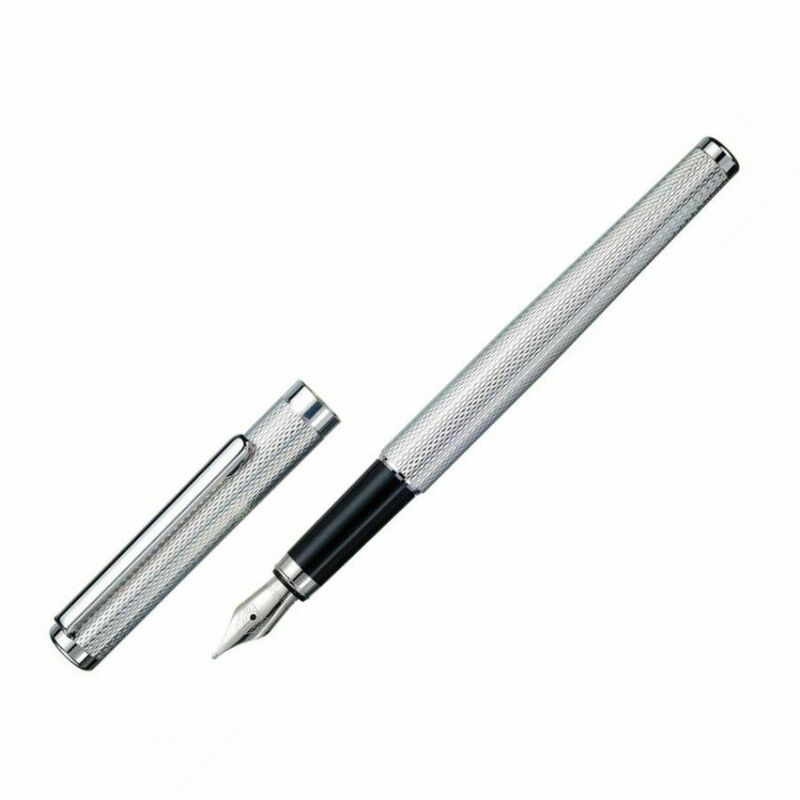 All our pens are initially made to the highest standards in Germany in 925 Sterling Silver. Why not have your pen engraved with a special inscription? Just tell us your message below and we'll arrange it. Takes standard ink cartridges, or can use bottled ink with the aid of a fountain pen converter.